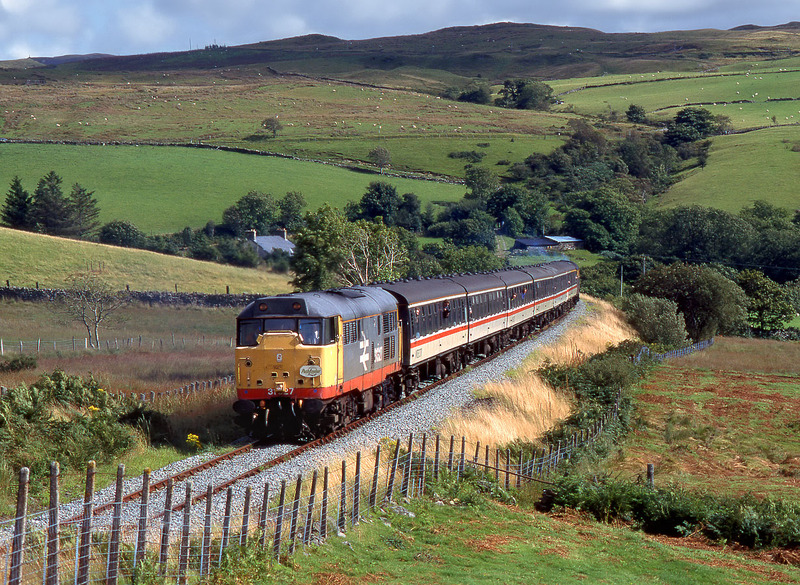 31327 passes Teiliau on 27 August 1994 with the Pathfinder Tours 1Z46 14:58 Trawsfynydd to York 'Trawsfynydd Trekker' railtour. 31190 had taken the tour down the branch and can just be seen smoking gently on the rear of the train. This line was kept open to serve the nuclear power station, but finally succumbed in 1998.